Professor Francine Lipman is the Qualified Tax Expert for the Rosenblum Family Foundation Tax Clinic. 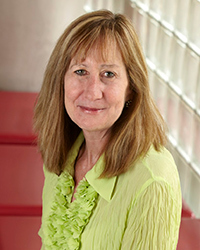 Professor Lipman has dedicated her career to advocating for low-income taxpayers through her scholarship and by providing pro bono tax services. Professor Lipman is a Certified Acceptance Agent, which enables her to assist undocumented taxpayers to obtain the ITIN-the identification number undocumented taxpayers need to file tax returns. Professor Lipman is a graduate of UC Davis School of Law, where she was Editor in Chief of the UC Davis Law Review and has an LL.M. in Taxation from NYU School of Law, where she was a Tax Law Review Scholar. Professor Szu-Ju Chang is the Program Director of the Rosenblum Family Foundation Tax Clinic. Prior to joining Boyd in 2018, she was the Clinic Director of the Nevada Legal Services’ Low Income Taxpayer Clinic (NLS). Throughout her career, Professor Chang and her colleagues assisted taxpayers in receiving $ 145,000 in refunds. Professor Chang has successfully decreased 1.4 million in tax liabilities, interests, and penalties.